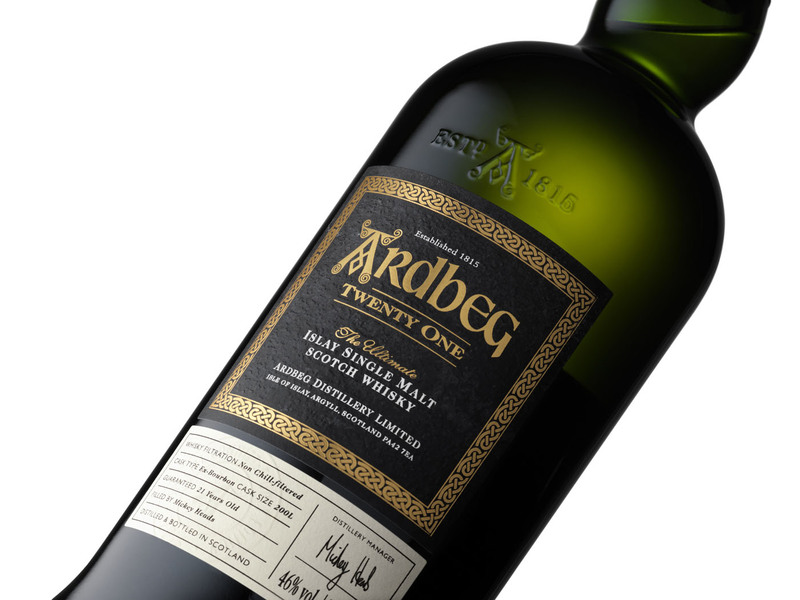 Comment: This is soooo Ardbeggy in the nose and shows that the distillate improves with the years (not all do so) – but I fear stocks are low on older Ardbeg these days. The age shows in sweetness and depth, but it is still racy, spicy and acidic (not flat at all), loads of leather (handmade shoes) and iodine, mustard seed, tires, hot transformer of a toy railroad, burnt BBQ-sauce on pork, lemon zest, Espresso macchiato, coal, tar, chalk and sugar-coated wet peat (sorry for this stupid image). Also very round and harmonic. I am surprised by a sweet herbal liqueuriness that emerges after a while. The spice combo gets accompanied by black pepper and resiny junipers. I am glad the green elements have moved away from the aloe style of the youngsters towards a Pesto Genovese direction. The palate is like the nose but I would have expected more sweetness and weight – the base notes are a bit weakish (in comparison to older 21 y.o. from 1970ies), maybe also because of the 46% abv. but that is nitpicking. I am glad to try such oldies from one of my favourite distilleries. Maybe one sherry cask in the mix would have rendered these elements and propelled it towards an even higher score. 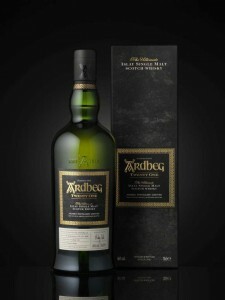 It is a great (but not stellar) dram with a long sooty peat n‘ coffee-ish finish, an lighter but more complex Ardbeg – but try for yourself, I am sure you like it – the question is just: how much? The ‚regular‘ Ardbeg range is so good, there is your value. So haters, stop bashing. This is extravagance, and in a good way! I am glad they didn’t soup it up with some finish, This is an honest and naked version with finesse worth enjoying.